The well-known stand-up comedian who landed his own TV series Adam Ruins Everything, Adam Conover has pulled over millions of viewers for his tailor-made videos. Holding on to a successful professional career, does the artist has some success in his love life? Is he dating someone or is already married? His fans are eager to know about the comedian's love life. Check out the article below to know about his relationships. 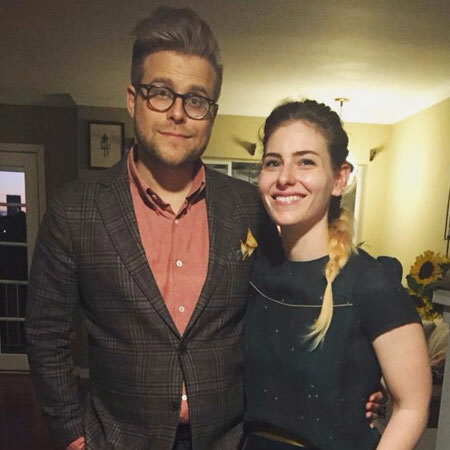 Love Life Of Comedian Adam Conover: Is He Dating Someone? Comedian Adam might be setting his hopes up for a beautiful marriage with his girlfriend! If you have followed Conover on his social media, you probably have seen a beautiful lady on his timeline. 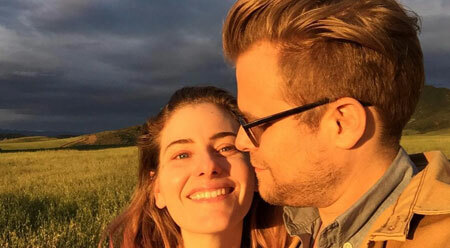 The 35-year-old comedian is dating his dating his girlfriend, Lisa Hanawalt. Not many details about their relationship have been out to the public but the couple started in 2009. Adam uploaded a photo on his Instagram on 16th of April mentioning that they have been together for 9 years. "9 joyful years with my love of this life, @lisadraws. Re-upping for more ASAP, this is too good to pass up!!" Hanawalt is a comic artist and a designer at BoJack Horseman production where Conover also voices multiple BoJack Horseman characters. The couple is often seen outing together. Both are active on their social media and often shares lovely pictures with each other. Conover brought her partner at several Awards program and events. Is there any probable chance the comedian will turn his long-time love into his wife? Very proud to be @lisadraws arm candy at tonight’s Annie Awards. Go @bojackhorseman! The couple has not shared much on the matter of sharing the vows but will certainly flash the big news when the time comes. Looking at their immense love of more than 9 years, the couple will probably share the big news about their marriage pretty soon. The humorist is living a blissful life with his long-time girlfriend in Los Angeles. 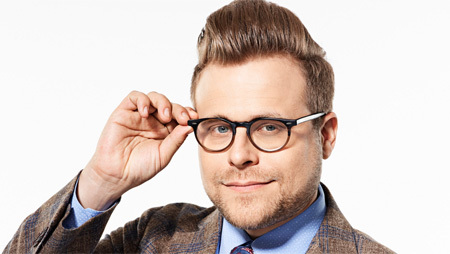 Adam Conover's Rise To Stardom! Conover debuted his career as a sketch comedy writer for the website CollegeHumor and their Youtube channel. He eventually created the web series, Adam Ruins Everything on TruTV which aims in revealing hidden and untold facts about goods in our daily life and services. The first episode of the series premiered on 29th September 2015. "It’s the reaction I’ve gotten my whole life: that I learn something and try to tell people in conversation, but when I tell them, they are annoyed." Despite his work on Youtube channel, he has also voiced several characters in the animated BoJack Horseman Netflix-series and several others. He was born on 2nd March 1983. His birthplace is Wading River, NY. Graduated with a degree in philosophy from Bard College. Began working for College Humor in 2012. Parents are David Conover and Margaret Conover. Stands at the height of 5 feet 8 inches. His net worth is under review and is estimated to be in six figures.